How easy is it for patients to pay you? That’s the million dollar question. Patients are financially responsible for more of their healthcare bills today than ever before. You have to make it easy for them to pay, so you can collect all you’re owed, and to align their experiences with what they see as consumers. 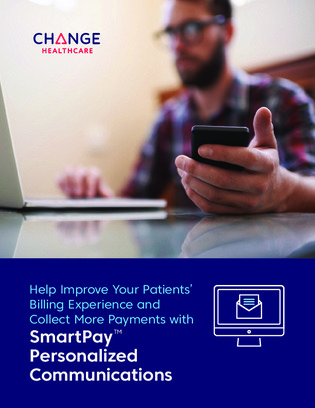 Download this e-book to find out how to improve the billing experience and your collections rate, while making sure your patient statements and payment options align with patients’ busy lives and communication preferences.